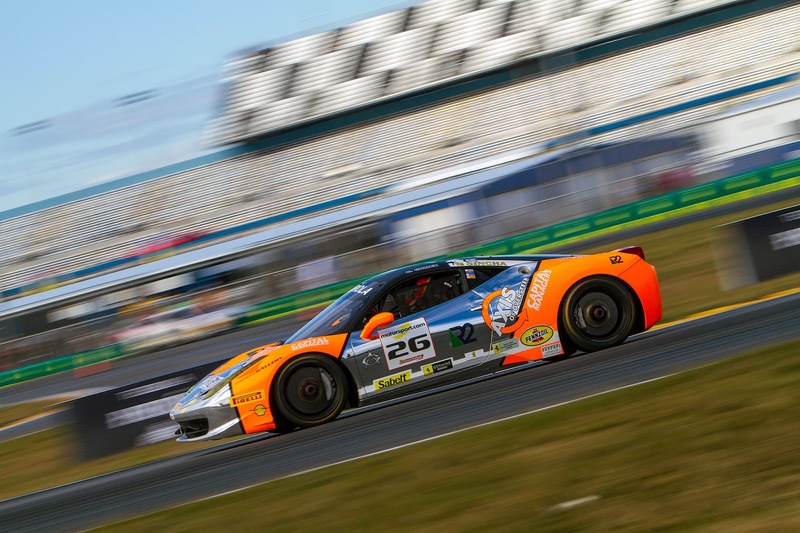 Ride with Carlos in the Axis 458 Challenge at Daytona. Above is race 1 on Friday, where CG scored a third place podium. Note how top speed of the 458 is 184 mph in clear air but 191 drafting. Turn 1 apex speed is about 45 mph so you are scrubbing145 mph to make it around. Hairy. Below is race 2. Track was damp on Saturday morning making conditions so tricky the pole sitter lost it on the warm up lap and crashed into the wall...D'oh! At the start of first clip, Carlos makes a move for the lead into turn 3, losing his left mirror in the process. In the second clip things get more exciting as CG, blind on his left comes under attack. Did I mention turning in to the bus stop was tricky?